After my visit to Lebanon I was inspired by the ethical supply chain used to support artisans in the Middle-East. I visited Egypt for a research trip as this is where I originate from. During my scoping trip I visited a factory called Haytex, which create 100% Egyptian Cottons and Linens. I visited a range of NGO’s and social enterprises such as Banati, Tawasol and Thaat. Banati focuses on rehabilitation and social reintegration for homeless girls in vulnerable situations. It is not known how many children are living on the streets in Egypt but the estimates range from 200,000 to 2 million. Banati has 2 shelters and a drop in centre where they provide food, healthcare, education, phycological support and a bed. To date they have helped more than 300 children. Tawasol is a NGO community school that enrols school drop outs from 4 deprived areas in Cairo. They provide an education, vocational programs and have a performing arts academy. They have provided an education for 170 children who never attended school because of their families social and economic backgrounds. The vocational training are all Egyptian craft based subjects and include carpentry, Sohagi embroidery, crochet, copper hammering, tallet, el’ooya, marionettes. Through these vocational training Tawasol aims to revive Egyptian handicrafts and design. 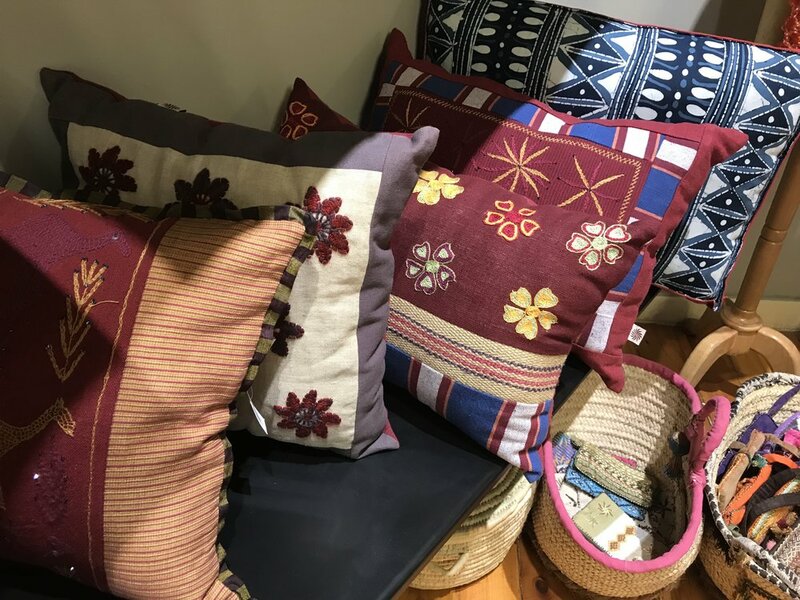 Tawasol’s products are made by low-income families living in underprivileged areas and 100% of the proceeds are given back to the communities that made them, either as artisans wages or to help them sustain community development projects. Thaat is an award winning social enterprise founded in 2014 by Peri Abou Zied, and is a mobile school and incubation program of Egyptian crafts and tailoring. The foundation empowers and creates a highly skilled community of artisan’s, most of which are underprivileged women in the textile sector. This is done by development and exposure through training, capacity building and incubation programs. The business functions through two main services; the mobile school and the incubation program. The school offers training and workshops in more than seven crafts, ranging between tailoring, embroidery, beading, appliqué and block printing. All the workshops are designed to enable the attendees to cater to market needs in terms of quality, design consistency and trends. The second service is the incubation program, which is offered to school graduates. They help them to understand the components of a successful and ethical supply chain network. To date they have trained and worked with more than 1400 girls and women, established a community textile school in deprived areas and created two ethical brands; Studio Embabah and AlMashgel. 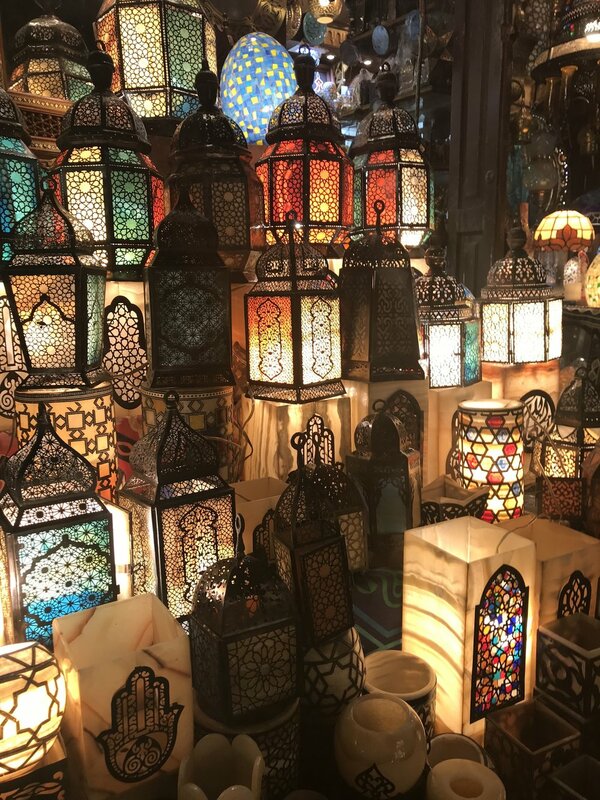 In Egypt I visited a range of shops that stock work made by Egyptian Artisans. 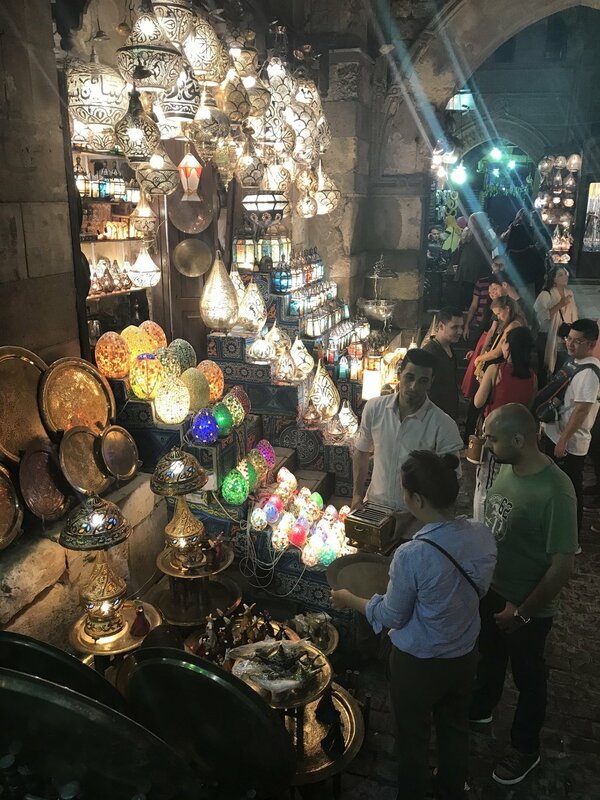 These shops include Markaz and Fair Trade shops in Maadi and Zamelek in Cairo, as well as Egyptian market Khan il Khalili. These places stock work created by Egyptian artisans who create handmade products in mostly rural areas such as Siwa, Sinai and Sohag. Each area specialises in different skills where these techniques originate from. 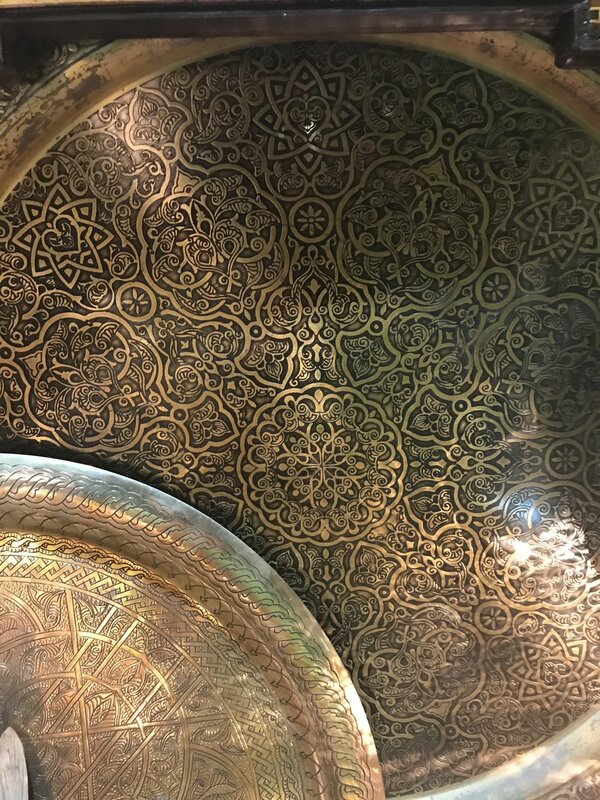 This research trip aims are to collaborate with and organisation and to challenge typical fashion standards, giving artisans and women from deprived areas in the Middle-East opportunities by recognising their value, and producing ethical products for fashion. We aim to work with a group of women who are expert makers, creating innovative products whilst still maintaining their traditions and heritage. These handmade products will be sustainable, have longevity and will be more valued as there will be a more personal connection to the maker, as we plan to document the whole process. These collaborations will encourage an exchange of skills as our different backgrounds and cultures should inspire new and inventive products as we widen our scope of possibility. Sustainability is now becoming a vital aspect of the design and purchasing process as more people are becoming aware of the effects on people and the environment. Transparency, respect and reliability are essential to reduce the environmental and social impact of the products we use. Yadayna purchases materials, provides teaching and work to refugee women in Beirut, and the Syria/Lebanon border, Zahle. It then markets the products and sells internationally. This ethical framework of a transparent supply chain, which values every individual, is driving my project and future ambitions. I am able to develop more of an understanding of a business model, which I aim to pursue. During my visit to Lebanon, I met with refugee women who spoke about the benefits of such projects on their lives and how appreciative they are that they can be independent, and able to look after their families. I aim to challenge typical fashion standards, giving artisans in the Middle-East opportunities by recognising their value, and producing ethical textiles for fashion.